Oprah Winfrey has finally spoken about the death of her mother, Vernita Lee. Ms. Vernita died on Thanksgiving day, at the age of 83. She's already been buried. Vernita Lee, the mother of media mogul Oprah Winfrey, died at 83, multiple media outlets reported. TMZ was the first to exclusively confirm the news. “The family of Vernita Lee are saddened to share of her passing on November 22, 2018 at her home in Milwaukee, Wisconsin,” a spokesperson for Winfrey told HuffPost, adding that she was born on May 2, 1935. Lee is survived by her daughters, Oprah Winfrey and Patricia Amanda Faye Lee, and many grandchildren and great-grandchildren. The spokesperson added that she was preceded in death by her son, Jeffrey Lee (1960-1989) and daughter Patricia Lee Lloyd (1959-2003). Lee has already been laid to rest during a private family funeral, the representative said. Vernita Lee (center) with her daughters Patricia Amanda Faye Lee (L) and Oprah Winfrey (R) at Vernita’s 80th birthday party. Winfrey, who was raised by her grandmother in Mississippi for the first few years of her life, has spoken about her strained relationship with her mother. She reunited with Lee, where she lived in Wisconsin, after being separated from her grandmother when Winfrey was just 6 years old. Lee, who worked as a housekeeper, couldn’t even let Oprah sleep inside the house where she was employed. 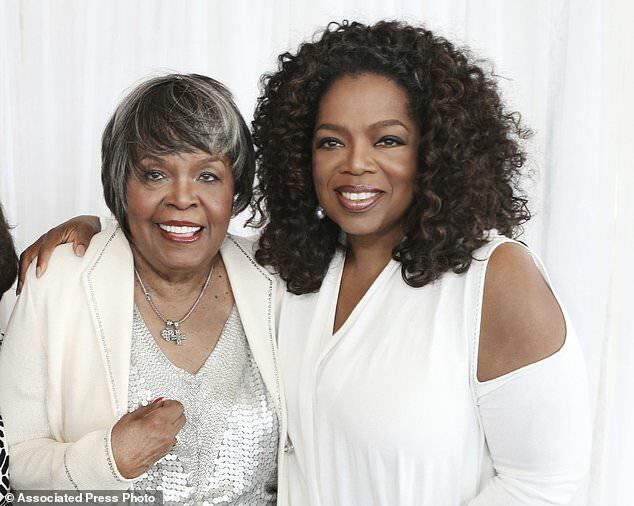 Winfrey previously released a statement about her mother and their relationship on Twitter in 2012, along with a picture of the two. “Thank you to my mother Vernita Lee for doing the best she knew and could do in raising me,” she said. Thank you to my mother Vernita Lee for doing the best she knew and could do in raising me. Aside from the strained relationship that she later rekindled with her mother, Oprah also found out in 2011 that she had a half-sister, named Patricia Amanda Faye Lee, whom her mother had given up for adoption in 1963. Oprah was just 8 years old at the time and didn’t know her mother was even pregnant. Amazing and Weird Stories Around The World. Powered by Blogger.